The Giant Dipper’s Eighty-fifth birthday! …the celebration continues. 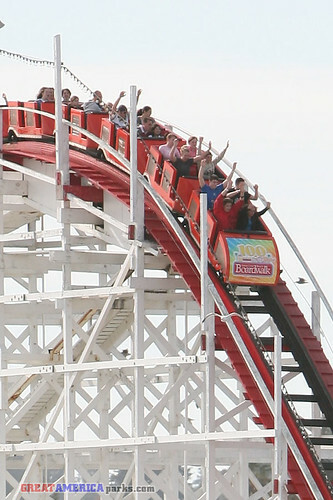 On Saturday, June 13th, the Santa Cruz Beach Boardwalk continues the celebration of the Giant Dipper’s 85th birthday. The Boardwalk is having a fireworks spectacular in the landmark coaster’s honor. June also marks the beginning of the ever-popular FREE Friday Night BANDS ON THE BEACH. The free concert series begins on June 19th and runs through September 4th. For the lineup and schedule, see: FREE Friday Night BANDS ON THE BEACH.